CiCi Bellis is a very pretty up and coming woman tennis player from the United States who has a chance to become a huge star. 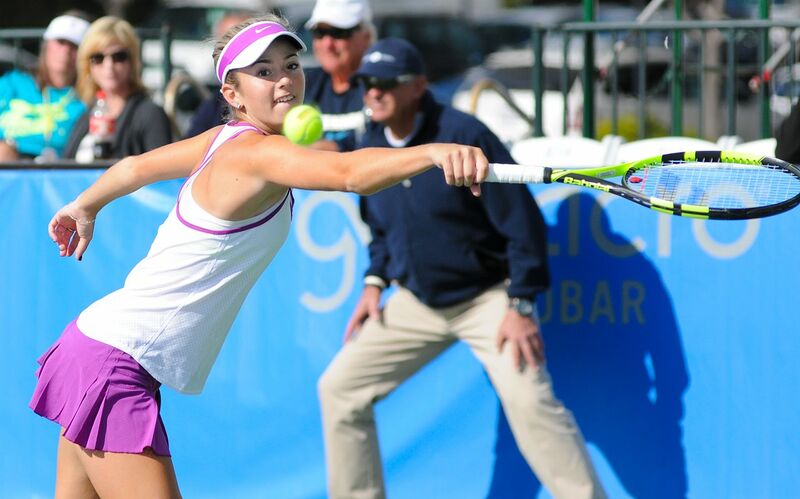 For tennis fans from all over the world here are some great photos and information about CiCi Bellis in 2017. CiCi Bellis was born on April 8, 1999, in San Francisco, California. CiCi now lives in Atherton, California, and her real name is Catherine Cartan Bellis. 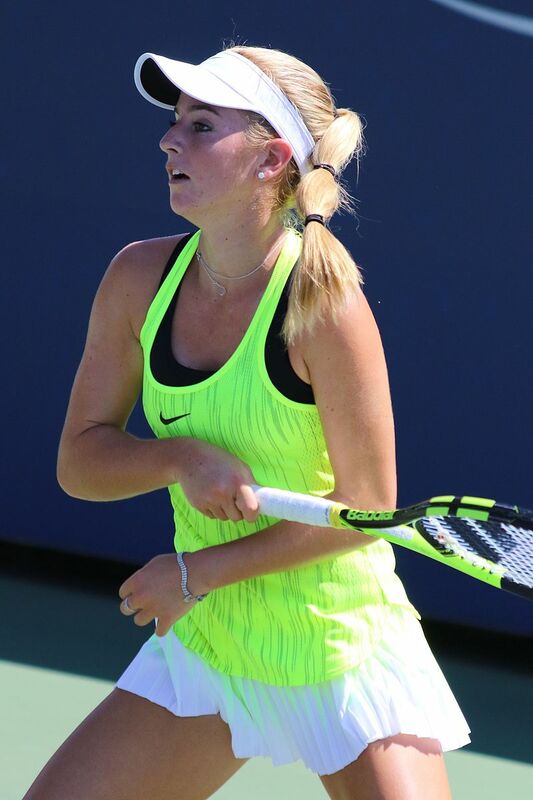 So far in her tennis career, CiCi Bellis has won one WTA 125k series singles titles as well as a number of ITF singles and doubles wins. Her career earnings are approaching $1 million and will go much higher as CiCi is a very talented woman tennis player. In the Grand Slam tennis tournaments the farthest CiCi Bellis has gone is the 3rd round at the 2017 French Open and the 2016 U.S. Open. If Cici Bellis keeps developing she will likely win a Grand Slam singles titles or maybe even multiple Grand Slam titles. Hope you enjoy the photos of CiCi Bellis. She is a very pretty woman athlete who has a very bright future ahead of her.